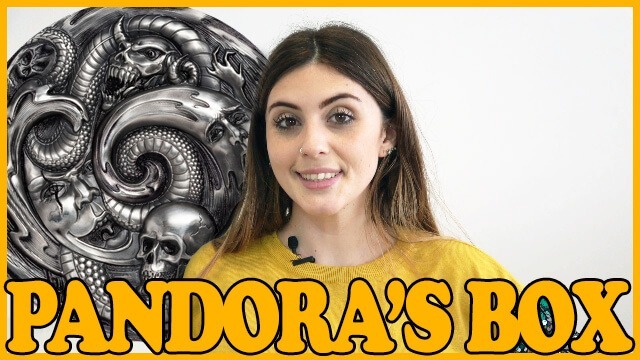 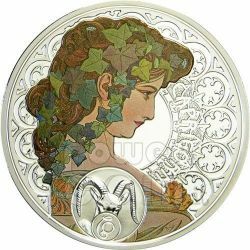 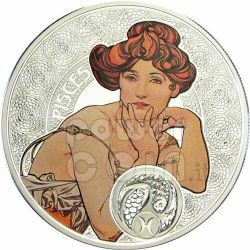 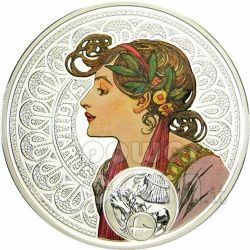 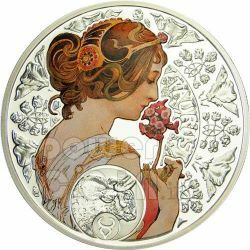 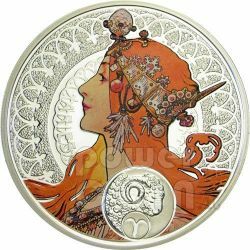 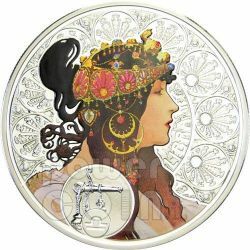 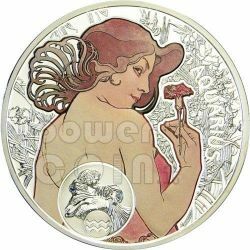 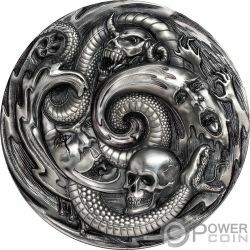 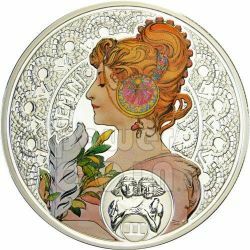 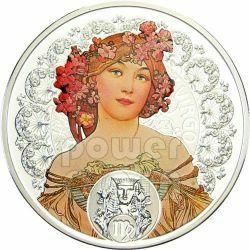 Silver coin Coin issued in commemoration of the 150th anniversary of Alfons Mucha (1860-1939), born in Moravia, was a Czech Art Nouveau painter and decorative artist, known best for his distinct style. 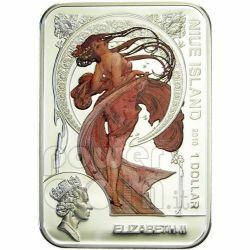 It belongs to the international "World of Painters" series of rectangular coins enhanced with colour pad printing, issued by Niue Island in Silver 925. 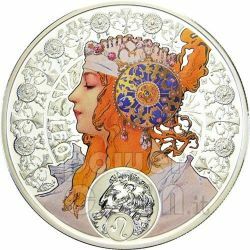 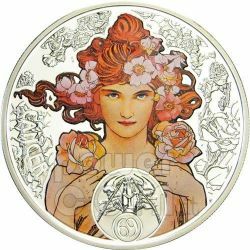 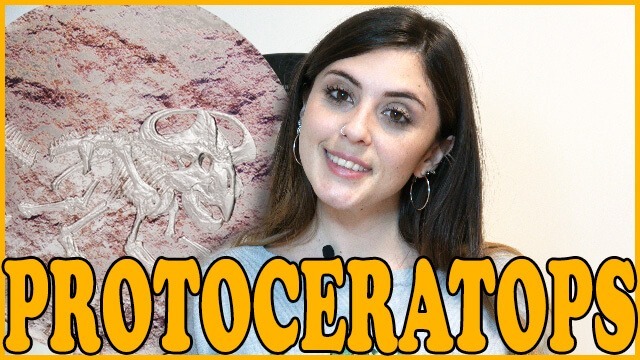 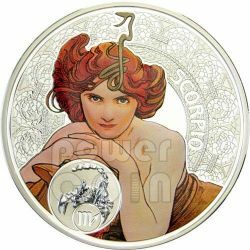 Silver commemorative coins from "Alfons Mucha - Zodiac" series (consisting of twelve coins) have been issued by the Niue Philatelic and Numismatic Company, the Monetary Authority of the Government of Niue Island in connection with the 150th anniversary of the great Painter. 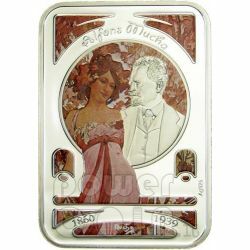 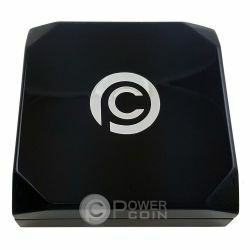 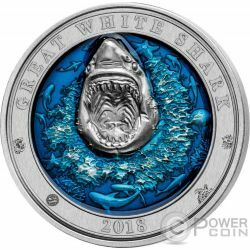 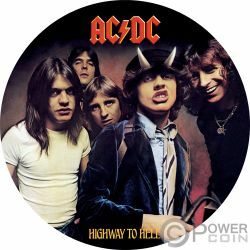 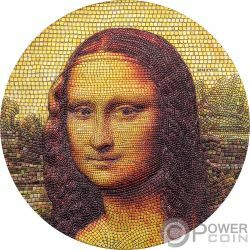 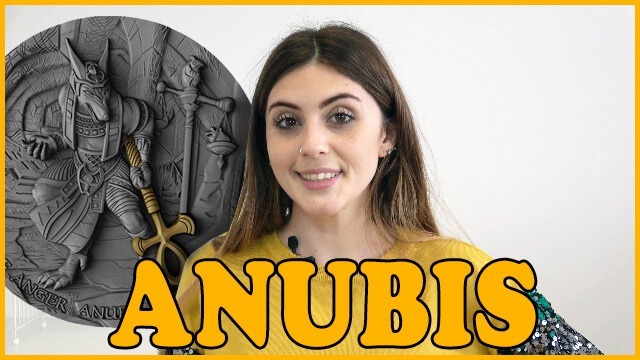 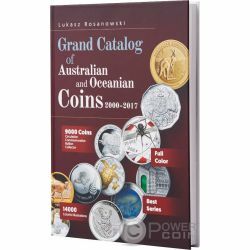 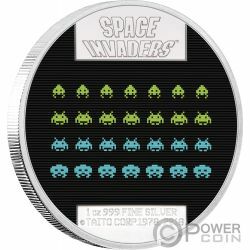 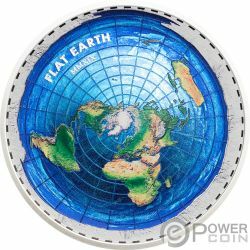 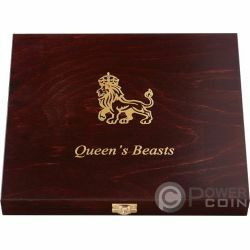 Coins issued in cooperation with and under license of Mucha Foundation.